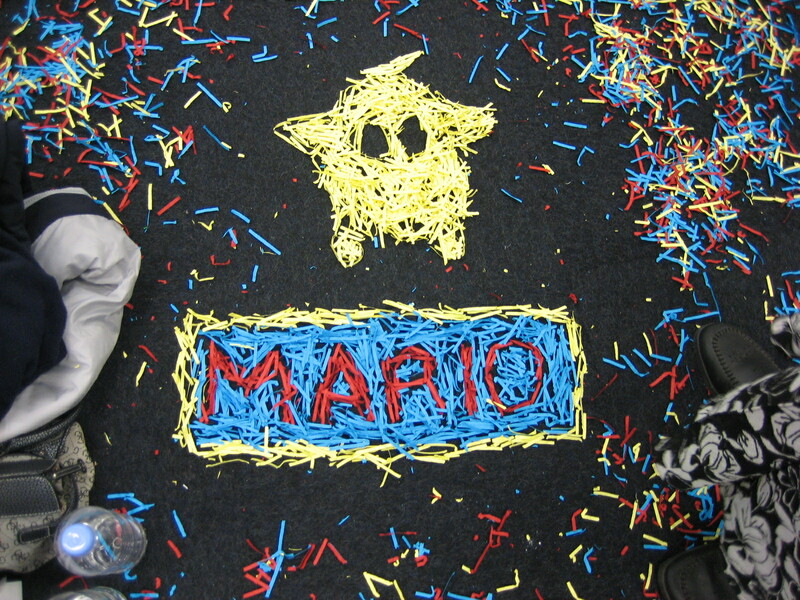 cyberseraphic » It’s-a me, Charles Martinet! 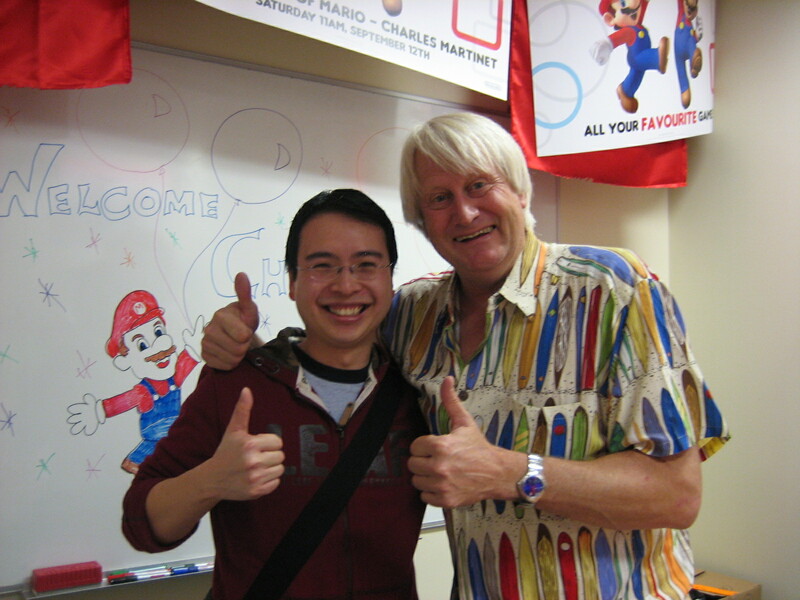 Over the weekend Jenny and I had the privilege of meeting Charles Martinet – the man behind the voices of Mario, Luigi, and a whole host of others from the Super Mario video game franchise, who was visiting Australia (read: Melbourne and Sydney) as part of a Nintendo promotional tour. 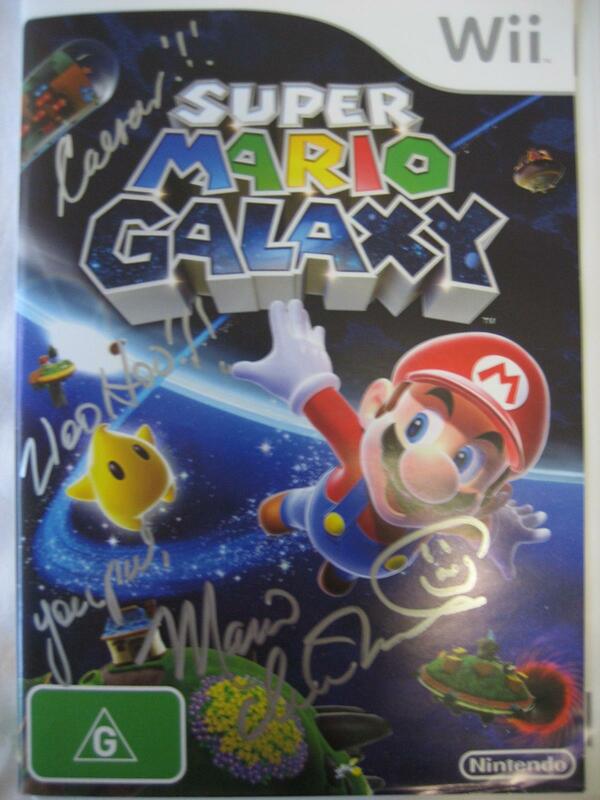 I won a competition from the Nintendo Web site to Meet the voice of Mario, but was initially confused though: since Martinet was making public appearances, I wasn’t exactly sure what I had actually won. It turns out that me and 3 others at the Auburn store got to spend a few minutes with Charles in private, and not have to line up. He was a great guy in person, very down to earth and friendly, quite chatty and patient. He autographed stuff for us and answered a few questions. The funniest was when a guy asked whether he ever stands behind kids at demo booths and does the voices in the background. Charles laughed and said that the kids would probably say that he sounded all wrong anyway. The first 50 people in line on the day received a gift bag of Mario merchandise from Nintendo and so did we (the prize winners), but ours also included a 9″ Mario figure and a lanyard instead of a pen. 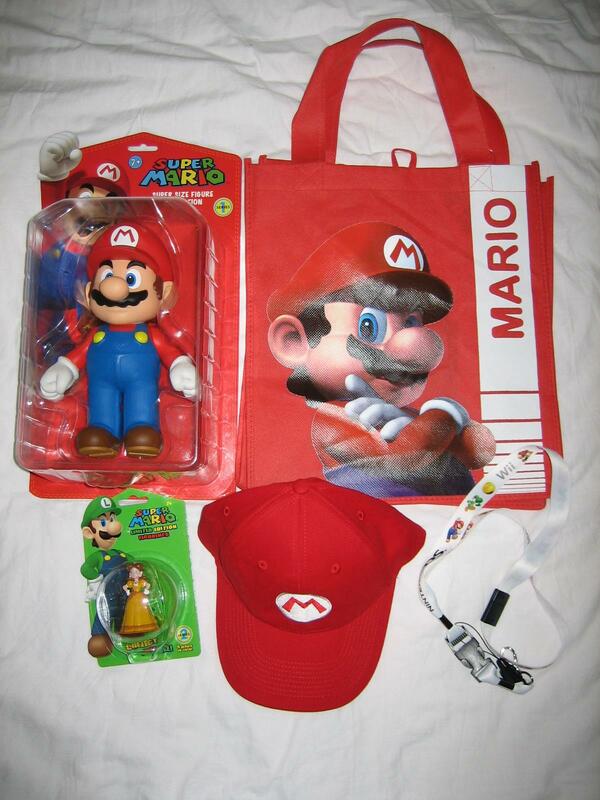 The other two items in the bag (same as the ones you buy from KMart) were a Mario cap and a series 2 – 3″ figurine. I got lucky with this – the 3″ figurine that I got (Daisy) was one of the two “rare” ones in the series.